The Sony A7 review is not an easy one. When a game-changing camera is released, expectations are of course very high. Amateur and professional photographers alike hope this camera is going to be the one that suits all their photographic needs. A new camera is put through its paces, and quickly it’s faults, and strong points are exposed. After a few months, when the hype dies down, we start to get a clear picture of the capabilities. The Sony Alpha a7 is a mirror-less digital camera with a 24.3 MP full-frame Exmor CMOS sensor (the same as the Nikon D800). The Sony RX1(r) still holds the title of smallest full frame body but had a fixed lens (the fantastic Carl Zeiss Sonnar 35mm f/2.0). 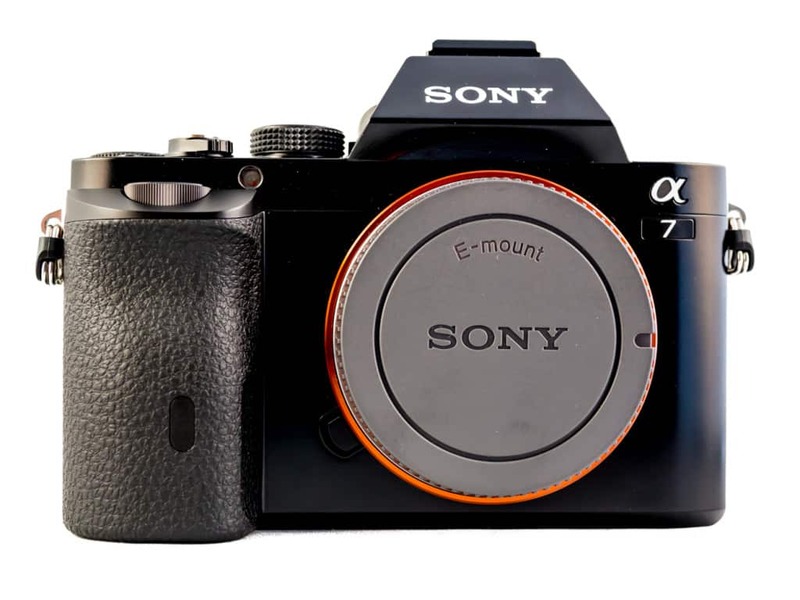 The A7 is bigger but offers the advantage of an interchangeable lens system, using sony’s E-mount system. The 3.0″ tillable LCD is strangely enough not touch screen sensitive but has excellent 1.23M-dot resolution and WhiteMagic technology for better visibility in bright light. 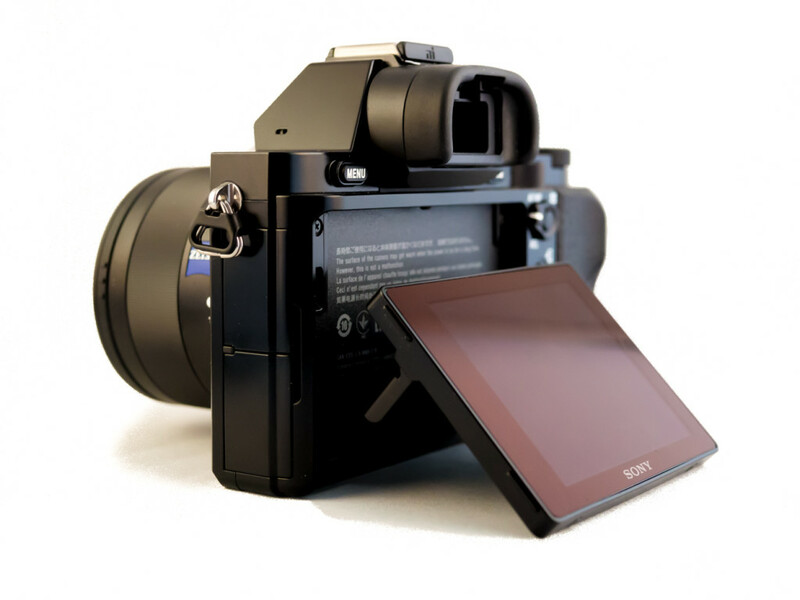 A high-contrast 2.4M OLED electronic viewfinder provides 100% coverage, a wide viewing angle and features the same 3-lens optical system used in the Sony a99 DSLR. Built-in Wi-Fi and NFC capability allow wireless transfer of images as well as remote shutter control from smartphones and tablets using an app available for OS and Android. The menu system is very easy and straightforward to navigate. The body fits like a glove, and I love having all relevant adjustments just a turn of the wheel away. I recently used a full frame DSLR again and found it bulky and cumbersome in comparison. The battery life of the NP-FW50 is a bit short. See it as one of the trade-offs for such a small full-frame body. I purchased two extra batteries. I go through 2 of the 3 when shooting a full day. Since the viewfinder is built in, there is a hot shoe available for all kinds of accessories like a flash, microphone or external monitor. 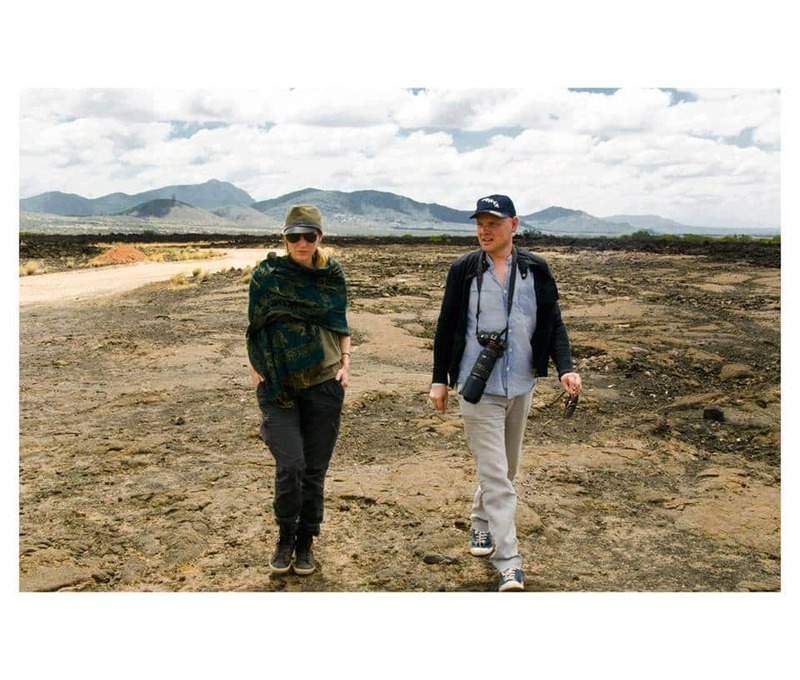 I planned a trip to Kenya early 2014 and decided it would be an excellent opportunity to test this camera. 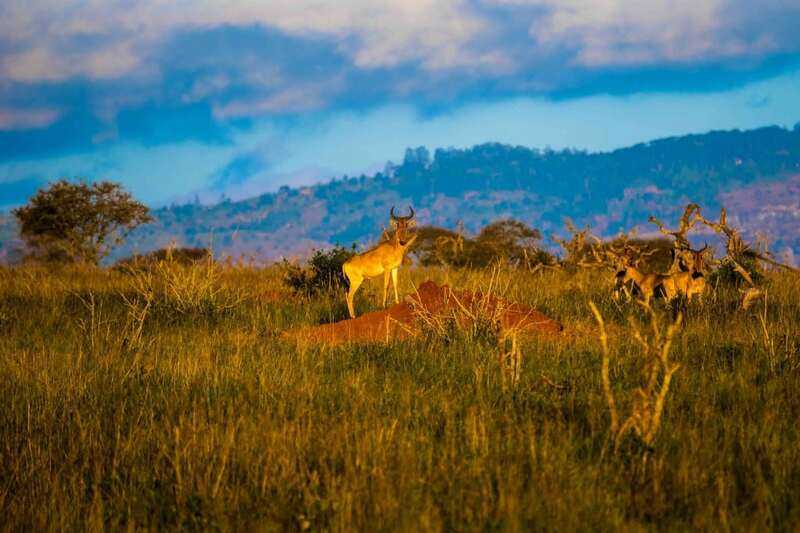 I took about 10000 pictures, including portraits, landscapes and fast action safari shots. There aren’t many lenses available as of yet, so I took along the new full frame e-mount Carl Zeiss Sonnar T* FE 35mm F2.8 and and the SAL70300G with LAEA4 converter. Yes, the SAL70-300 is not the fastest tele zoom around, but I figured that the safari game drives are done during the day, so that would not pose many problems. A full frame sensor is considered to be the holy grail of photography, and indeed when you pair it with the 35 mm Zeiss lens, you get that feeling that everything is in place. What you’d expect to be in the frame is there, a very satisfying feeling. There are a few drawbacks though: lenses are larger (and slower) compared to cropped frame cameras, and the autofocus system has a larger surface area to cover. The autofocus capabilities of the Sony A7 is its only flaw in my opinion. It is hit and miss, and even when it locks, you cannot be sure that your subject is in focus. To make matters worse, you can’t rely on what you see on the LCD. If your subject is small, it might appear in focus on the LCD, but on a larger screen it is not. Focus magnification can help here, but the camera seems to magnify the wrong part of the image more than often. There is no in-camera image stabilisation, and the prime lenses do not have it either. the SAL70300G is an A-mount lens, and since A-mount cameras do have IS, this lens does not. 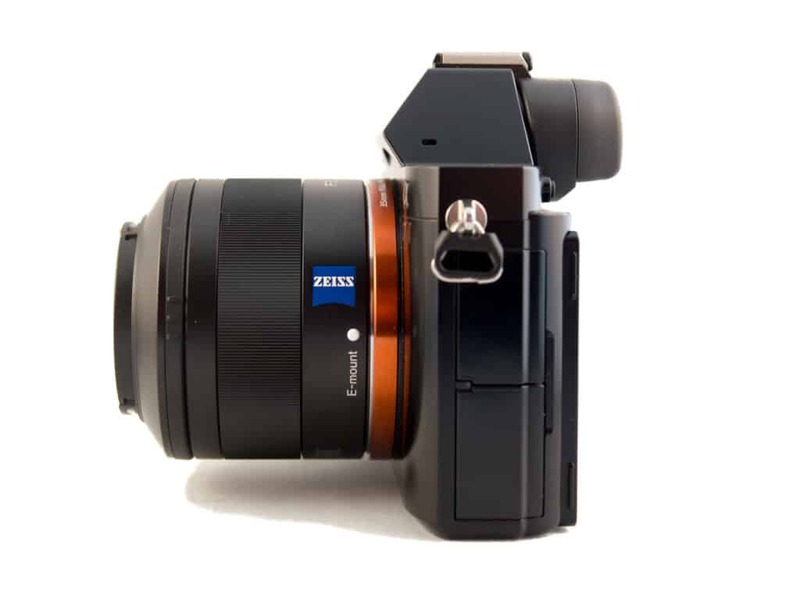 Sony has implemented IS in their new zooms for the A7(r), but I did not have a chance to test this yet. I think Sony was aware of these shortcomings and tried to optimise the iAuto mode to counter this by going to ISO 6400 in order to get a faster shutter time. Unfortunately, while still usable, there is a noticeable amount of noise at ISO 6400. Sure you can clean up your images with noise reduction, but this kind of defeats the purpose of the sharp images this sensor can produce. At first I was a bit disappointed after reviewing all my pictures I took in Kenya. I had lots of miss-focussed shots. I do realise this was a challenging environment for any camera. Racing around in an unstable minivan with a nervous driver, a camera you are not used to and a non-stabilised telelens. I would not say these where ideal conditions. But after trashing all the out of focus images, I started noticing the incredible quality of the hundreds of pictures I had left. We travel a lot for our travel blog www.freeasbirds.com. Since weight and portability is a big issue for me, I don’t think I could have gotten better quality images with any other camera of this size. I’ve recently been working on my manual focus skills, and this is where the camera shines. Thanks to the manual focusing aides like focus peaking and sometimes magnification, an out of focus shot has become very rare. I’ve also had a lot of success with autofocus in Program mode while setting the ISO to a more sensible figure. As I mentioned before, the Sony A7 review is not an easy one. If you are a casual photographer who mainly likes to take snapshots of family members and situations, I don’t think this camera is for you. This camera is capable of making amazing pictures, but you’ll have to work for it, even more than is usual. Have a look at the Mark 2 or 3 for a better allround camera! Thanks for your comment Blogophile. Where exactly did you find the successor word? Can’t seem to find it here.